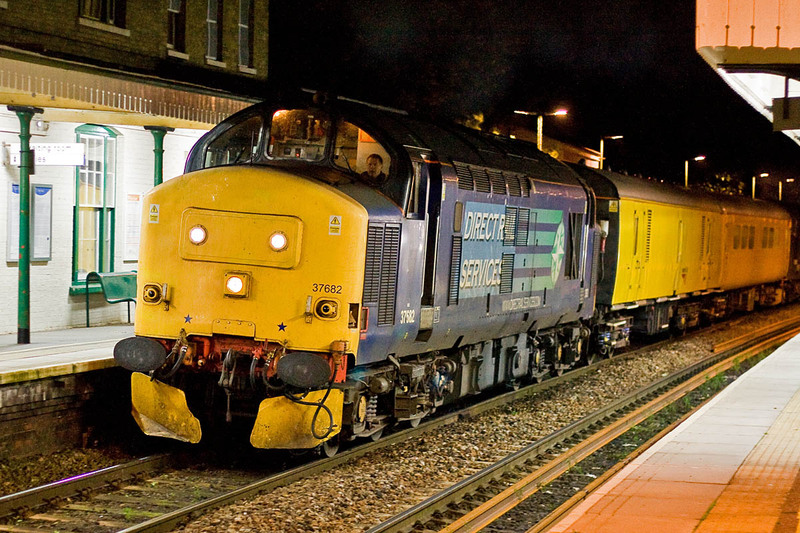 37682 (Romsey, 16th October 2012) - I saw this at Crewe in July, and there was significant rust bubbling on the body. It did perform on the Pretendolino tour on Saturday 25th. However it now requires an F-exam. 37682 was new as D6936 on 29th April 1964, allocated to Landore. 47841 (Millbrook, 21st April 2012) - through Eastleigh Works in April - June 2013 when the marker light areas were converted to flush format. I also saw at Crewe in July, but it is understood that the locomotive was something of a black sheep with little recent work. 47841 was new in March 1964 to 86A Cardiff Canton. 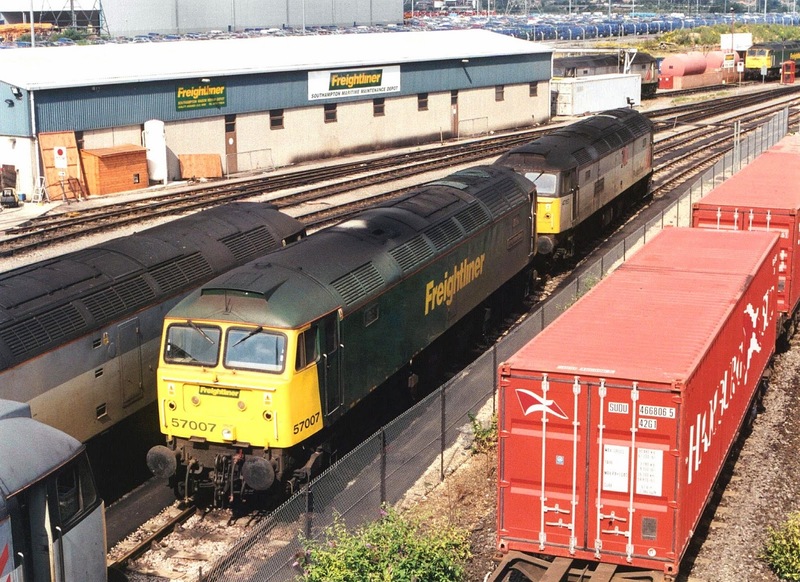 57007 Freightliner Bond - is currently within Eastleigh Works for modifications - will it return to traffic in due course? Seen here at Maritime on 4th June 2000, with 47157 behind. 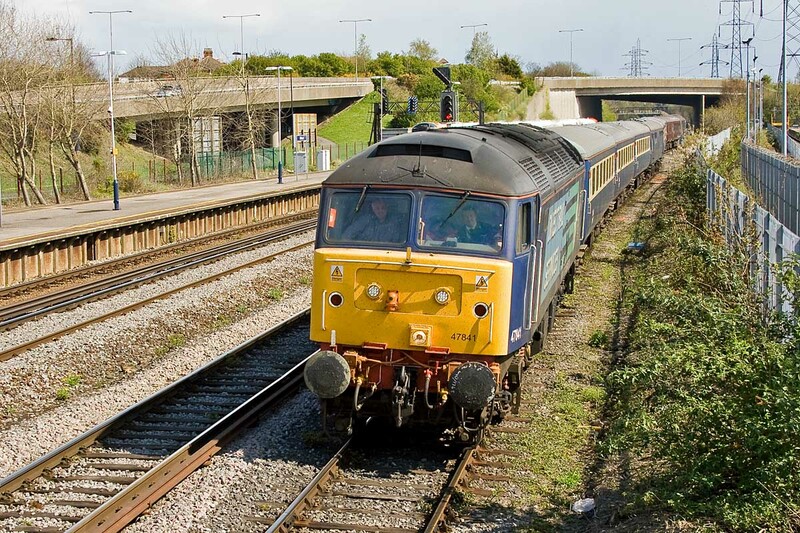 As a Class 47 it was delivered as D1813 in February 1965 to the Nottingham Division of the LMR. When will Mary Doll return?